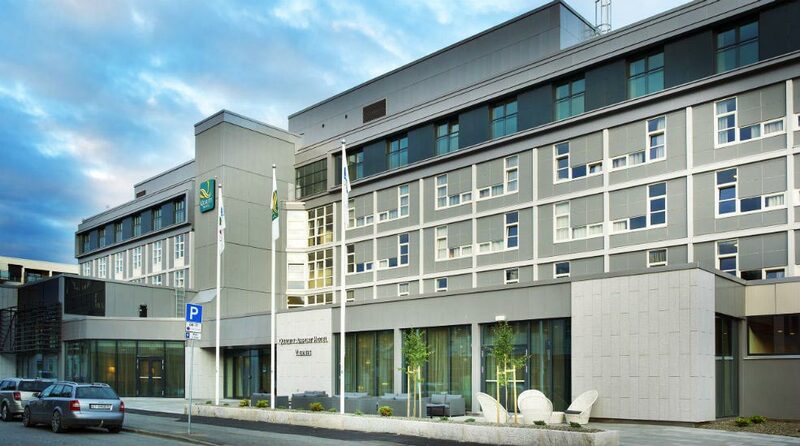 The Quality Airport Hotel Værnes doesn't just focus on conferences. Food and beverages are also a top priority! There are plenty of delicious options available to guests here at the hotel. When you stay at Quality Airport Hotel Værnes, breakfast is always included in the room rate. We serve a tasty breakfast with lots of healthy and organic options, plus fresh bread from our local bakery every day. We are pretty sure that we have the best lunch buffet in the area! With plenty of options to choose from, you'll find everything you need...and more! We want our conference guests to be brimming with energy and inspiration, and for that you need great food! We serve lunch every day, except Sundays. We serve light meals and snacks from our à la carte menu from 11am. In need of an energy boost during the day? As a conference guests, you can enjoy popcorn and soft scoop ice cream whenever you like! Our restaurant is tastefully decorated in a modern style with light colours, and it has a friendly and welcoming atmosphere. From Monday to Saturday we serve both a lunch buffet and an à la carte menu featuring light meals. In the evening, you can order a range of dishes made using fresh and local produce. No: 20 Bar is our hotel's official meeting place. It's a small bar that serves just about everything you need, including both locally produced beers and a good selection of wines.